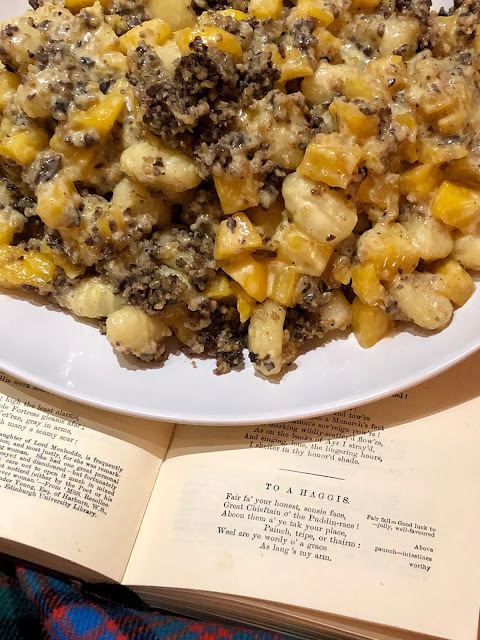 Haggis, neeps and tatties are the holy trilogy when it comes to Burns night. Add in a dram of Whisky and you've got the full monty. 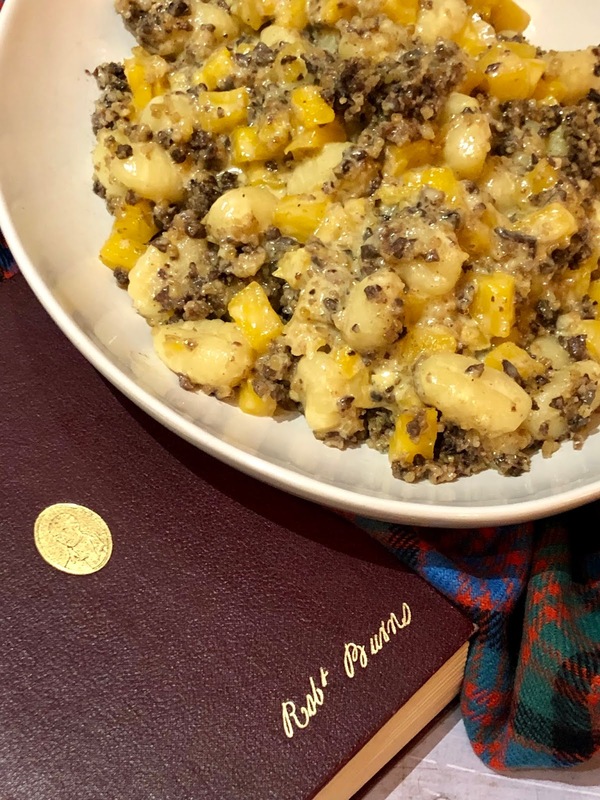 So how about mixing things up a bit and swapping the tatties for gnocchi and mixing the whisky in with the neeps? 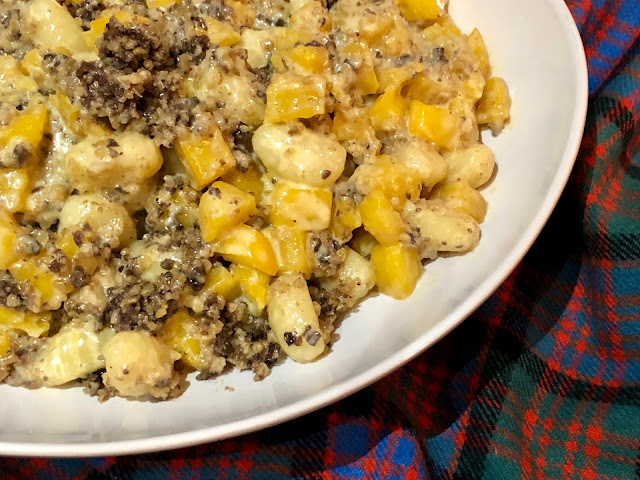 Whisky Neeps are an awesome dish that takes the humble swede to a whole new level. Buttery, sugary, sticky and sweet. You will never go back to mashed neeps once you have tried them. They are also an integral part of our Christmas dinner! I must admit that I don't actually weigh and measure the quantities when I make them so fee free to be heavy handed when it comes to how big a dram you add. I'm sure the bard would approve. 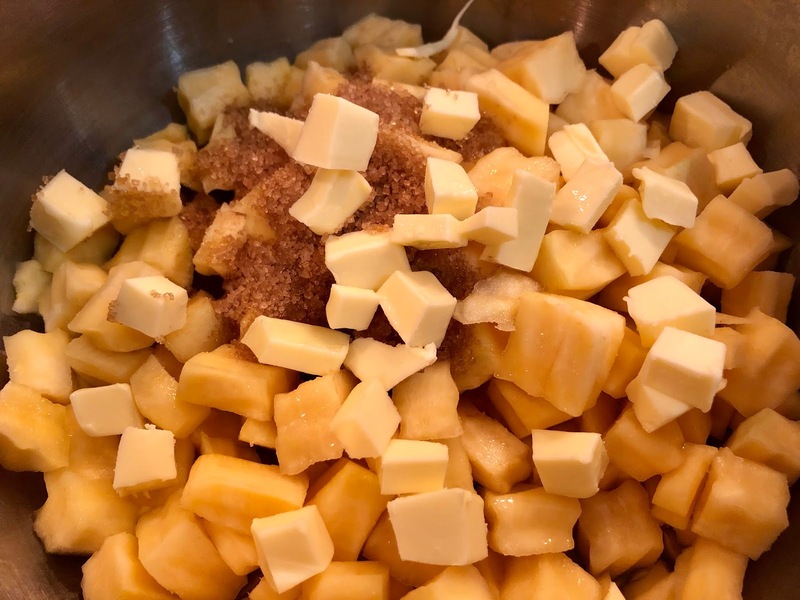 Place the cubed neep in a pan with the butter, sugar, whisky and enough boiling water to barely cover. Menwhile cook the gnocchi according to the pack instructions and drain. 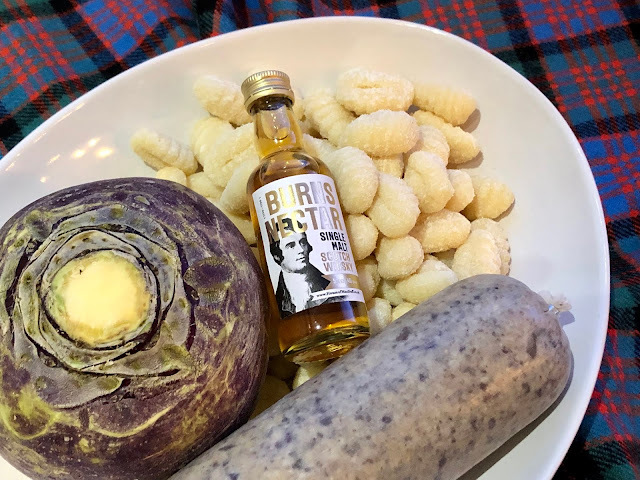 Remove the haggis from it's skin and heat according to the packaging instructions. 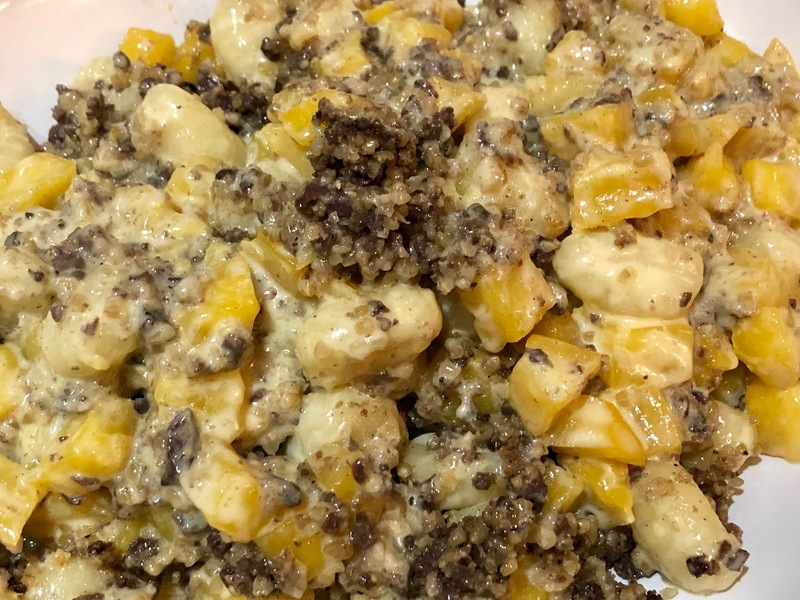 Stir the gnocchi into the pan of cooked neeps, add the double cream and heat through. Tip in the haggis and gently combine.